The space of inspired action – why would you take inspired action? 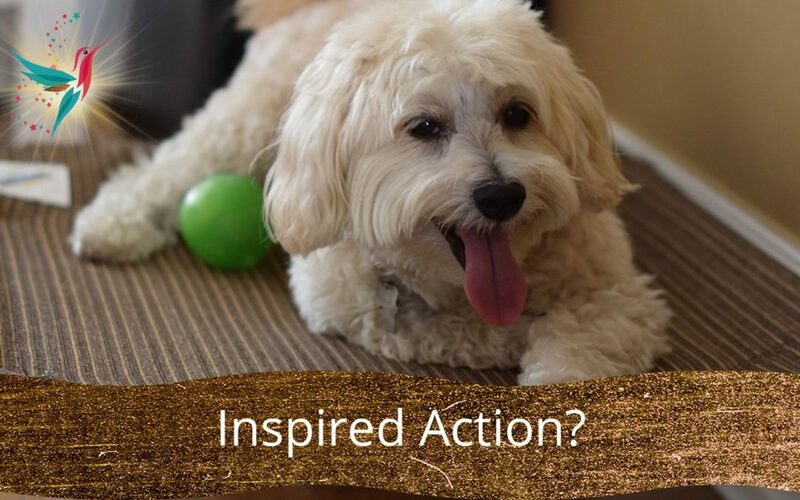 Do you take inspired action? If not, what is stopping you? What does inspired action mean to you? To me it’s all about following my inner guidance, you know that inner knowing that has you say “yes” to exploring further. I’m a person who loves to learn new things, all the time, every day, it inspires me and is one of the factors that has me continually choose to grow and evolve. My life motto is “the day I stop being curious about learning new things is when it’s time to leave this body”. I’m currently on an extra intense “roll”, having tapped into some new communities of inspiring people that I’m really connecting with. They are taking action, creating companies with products that are created from passion and inspiration all while being themselves. So much fun! To me when I tap into the space of inspired action it never seizes to amaze me how I end up finding the people that I’ve been asking for with total ease. The good ole’ adage of “when the student is ready the master(s) appear” and at times I’m present to taking quantum leaps by simply finding these people. Have you ever found when searching online for example how the search results often line up exactly with what you were looking for? And how one search leads to another and another and then all of a sudden you find something that really connects? There are infinite possibilities and search results yet your focused attention and the words you select lead you exactly to what you were looking for? It’s amazing and one of the things I love about the internet as it’s a fast forum to find people and connect. Three months ago a friend of mine shared a post where a branding expert, Danielle M Miller, was interviewed. It spoke to me, I purchased and read her book (great read), connected with her, attended some free webinars, explored her brand/branding and offers and have signed up for a mastermind program with her. I was made aware of Marie Forleo via Danielle (yeah I know I’ve been living under a rock). Marie rocks and she was recently interviewed by Tom Bilyeu of Inside Quest (now Impact Theory) another awesome YouTube channel & Podcast with inspiring interviews and loads more with people that I am already following or desiring to connect with. He is the co-founder of Quest Nutrition and more (also someone I had not heard of before). And the list goes on as through all these new people I have tapped into several new tribes of people that I connect with. My point with all of this is when you following the energy whether it’s inspired or your just in flow mode pay attention to what shows up, it could just change your life! What inspired action(s) are calling you, right now? Do you have those moments/periods in your life when you have a strong awareness of being in the midst of a big shift? 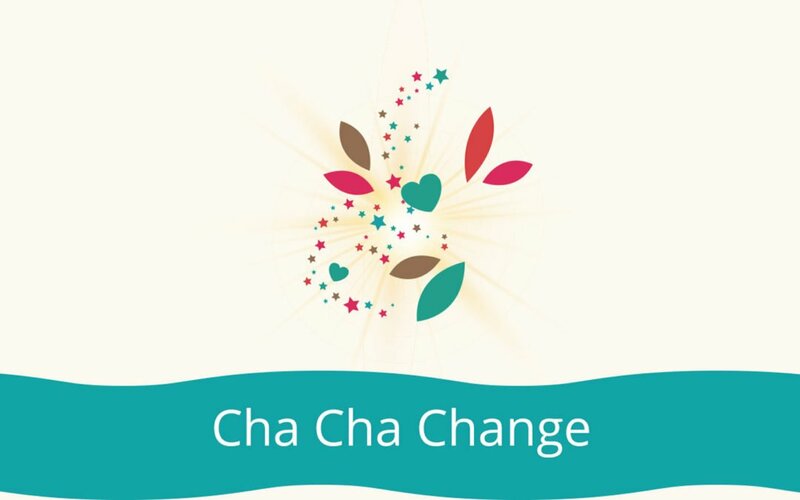 Cha Cha Change? I’m in one of those periods, possibilities are showing up out of the blue and I’m just following the energy and choosing more of anything that occurs as fun and light while asking “What else is possible?®*” and “How does it get any better than this?®*” for one as that creates even more fun and on it goes. I was listening to a radio show yesterday where the guest was describing a journey; from having money, losing it all, resisting a possibility that presented a change that this person wasn’t ready for at the time. Once the time was “right” and the possibility was acted upon, millions were created within a year. What was cool was that there was a willingness to follow the awareness i.e. not pushing events. There was also an inquiry in the midst of all this and a potent demand to pay back a big chunk of personal loans which they ended up doing at the speed of lightning. How cool is that? You can listen to the show here. We have all been in situations in life where we resist, maybe also in periods where we didn’t even know what to choose, I know I have. For me to be in a place where I now have clarity of what I desire to create, both energetic and palpable targets, is just plain awesome after several years of “I don’t know” or “now is not the time”. 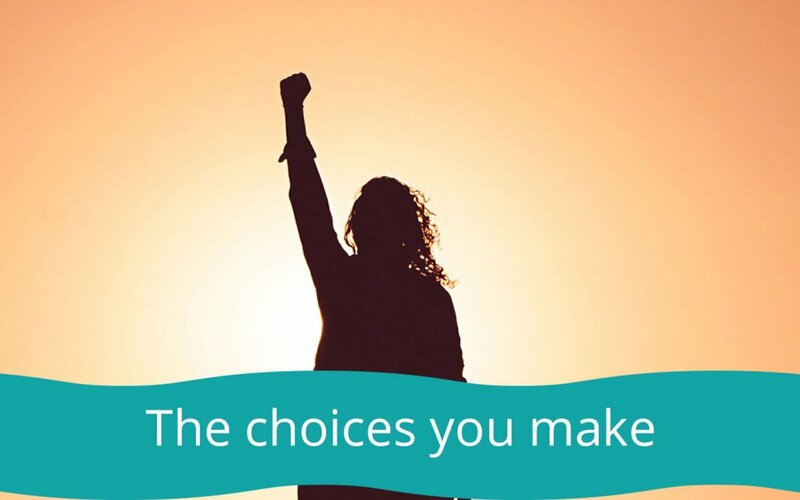 So now I’m on a roll of simply choosing for fun, paying attention to what lights me up aka energizes my body and focusing on activities that generate more of that. Writing another chapter in a book that is due out soon is one of the activities I took action on recently that is really fun for me. Investing in a new camera lens that makes portrait photography even more fun is another one. What have you been resisting that you could tap into the energy of and ask “is now the time?” and if it is, ask, “what action can I take right now that would create more of what I desire right away?”. Are you game to give it a try? Do you have the ability to laugh at yourself and the choices you make? See the humor and ultimately have gratitude for the experience and new awarenesses? I recently closed a chapter of what at times occurred as an interesting 24/7 boot camp experience. It was one of those “reason” types of experiences that totally did not show up as expected. I’m a big believer in empowerment and this journey challenged my beliefs in many ways. This ultimately forced me to step into my power and chose for me no matter what that looked like, all while using every tool I’ve ever received to continually expand and be reminded how important daily laughter are to me. I’m in gratitude for all of it, as what has come out of this experience are some major awarenesses of who I am, what’s important to me, what I stand for, bring and believe is possible, desire to create, with whom AND a new appreciation for what I have created as my life so far, how does it get any better than that?! That to me is the gold, the silver lining that I now acknowledge that I find in any experience I have/had. This time it took creating an experience with someone who could not receive, hear or rarely get me at all, and who at times did. Someone where I could experience growth way beyond my comfort zone and observe closely how different choices create, how dramatic life can become if we get hooked into other people’s drama, using every tool I could think of to stay neutral while being questioned and at times choosing to let things be messy. I’ve worked closely with men for the better part of my adult life so to not be understood was a new situation for me. What eventually dawned on me was that it wasn’t necessarily what I said, it became apparent that it was a combination of my perspectives and the energy I was being. Speaking the same language yet for all I know I could’ve spoken Martian. Once it dawned on me that it wasn’t about me it turned comical! It started out as a fun experiment until it was clear that the contrasting realities clashed more often than not and a different choice was made. Can you relate? Do you allow yourself to make a different choice when things are no longer working for you? When it’s inconvenient yet you know something needs to change? Even when you see possibilities of what could be, yet know it’s not now? Do you prioritize your happiness or do you choose to give your power up for someone else? That I’m different is something I’ve been aware of all my life and it’s worked to my advantage most of the time. I move fast, wake up happy with myself and my life most days, energized, excited and ready to create my day. I love to laugh, talk and have explorative conversations. I now get how important it is for me to invite & choose energetically compatible people into my life. Even when I’m surrounded by drama I will find something positive, an awareness will emerge. While I can be with different people, it is not necessarily kind to me to have people close to me where there is not an energetic match and harmony present. I prioritize joy and laughter too much to give up and just expressing it on the inside doesn’t really work for me. Does suppressing who you are because someone else can’t receive you or circumstances around you deem it not be appropriate, work for you? I am clearer than ever how life is just a moment by moment choice, no matter what goes on around us, we all have free will to participate and create, or not. What if the kindest action we can take at times is to “stop it” and walk away? Have you ever stopped long enough to look at how you communicate and how it is received on the other end? The words you speak AND the energy which you deliver your communication? Do you ask the people you are in dialogue with questions? Are you interested in hearing what the other person has to say or their POV’s or is your focus to simply communicate your POV? Do you speak your mind whether it’s about you, or your point of view of others? Is it creating more? Over the years as I learned to ask open-ended questions or simply be silent and listen it became more clear than ever how much time we spend communicating our POV’s and conclusions. You may say isn’t conclusions great? and I say “What does a conclusion create or generate?” Does a conclusion occur as something expansive that you can continue exploring or is it THE answer/truth locking it in place? Have you ever taken a look at it later to see if it’s actually still true for you? Where did that truth come from? 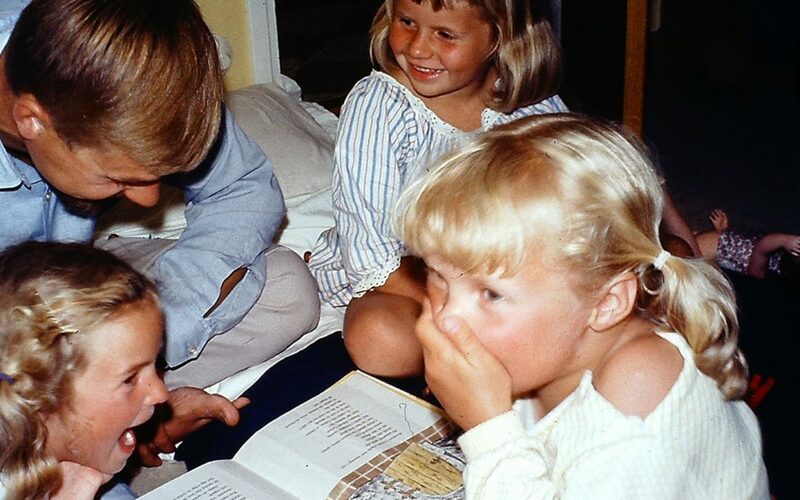 Was it a story that was repeated to you over and over as a child? Did that story turn into a POV and later a belief? Are you the same person now as you were then? Would you like to change the story? When I first started asking true questions and tapping into the energy of what was actually true for me I realized how easily I jumped into conclusions. I also started to distinguish that even more often it was actually my inner knowing, an awareness. As I unhooked from what appeared to be happening on the surface and tuned into the energy in a neutral mode I started seeing the humor of the situations. When you start playing outside the box and look at the big picture things do not always occur the same. And how much of the drama or lack thereof in communication is simply to create contrast and growth as beings? And in the end what does it all create? Have you ever tapped into the space of your inner being where you are fully present and at peace whether people are around you or not? The “in the zone” moments that sports offer for one and that can be experienced in a multitude of situations. What I love about communicating with other people that participate in the game of asking open-ended questions and tapping into the energy and each individuals awareness is how easy life becomes. For someone like me who prioritizes fun, play and ease that is welcomed. Add laughter and I’m a happy camper. 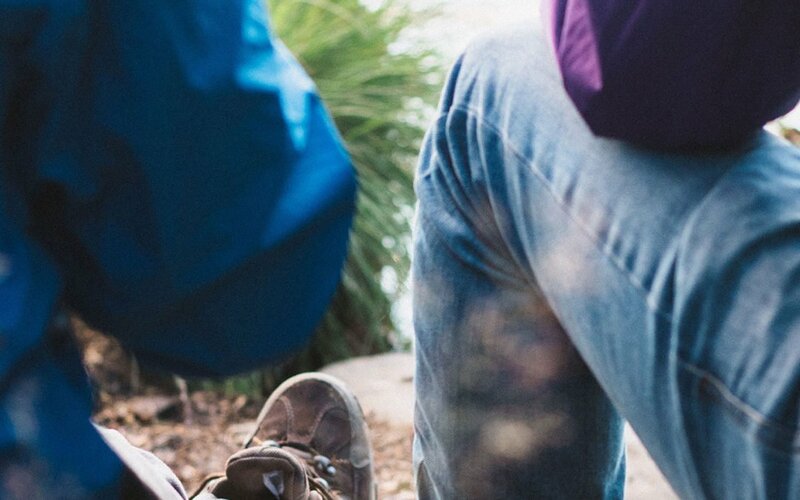 What if you can shift your life by simply asking questions that focus on possibilities? Like “what can I be grateful for today?”. How much of your daily life is focused, surrounded or consumed by drama when laughter could create a different reality? It’s just a choice after all (the TV does have an off button). As my best friend and I started exploring communication through open-ended questions we started tapping into new realms and having incredible conversations on all kinds of topics with inquiries that were so expansive and ENERGIZING. Our friendship is stronger than ever as a result of this whether our POVs align or not which to me is very powerful. What if you could talk to anyone without getting triggered? Hear what they had to say without a POV? Would you be able to listen without adding your POV? Would that be a contribution to you and the people in your life? What could be created in your reality if you didn’t get triggered, especially where people expect you to? Would you be interested to try it for a day? What if you spent an entire day simply saying to yourself (in your head) “interesting point of view I have this point of view” to every thought, feeling/emotion that comes up with anyone you see, observe, talk or interact with for an entire day? You can tweak it to “Interesting point of view he/she/they have this point of view” too where applicable and repeat as often as required to stay neutral:). To listen to someone without a POV and be neutral is pretty powerful from my POV and that is my interesting POV! What is yours?